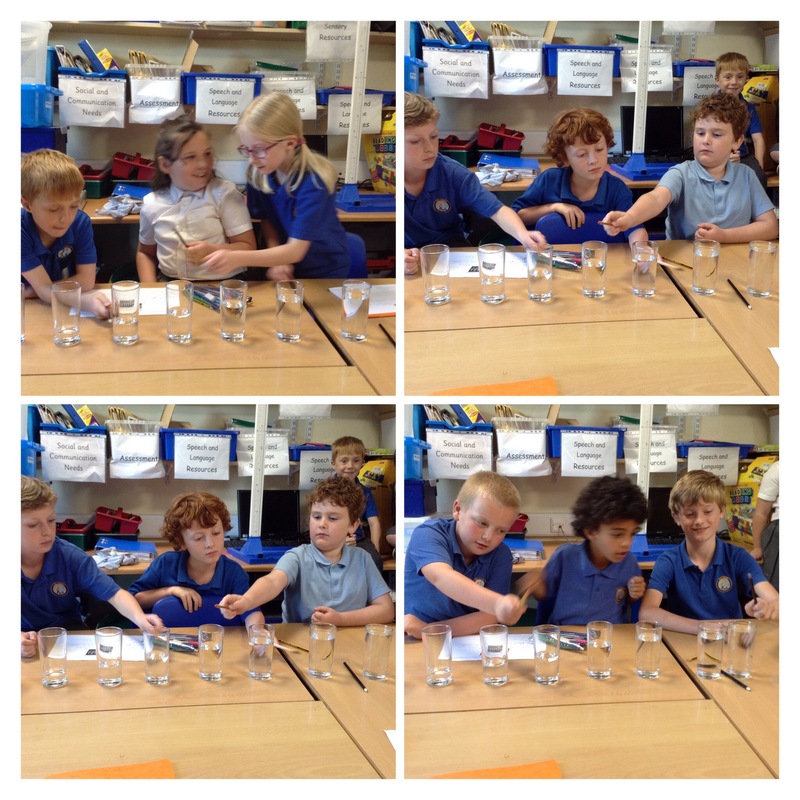 In Science we have been investigating ‘pitch’! 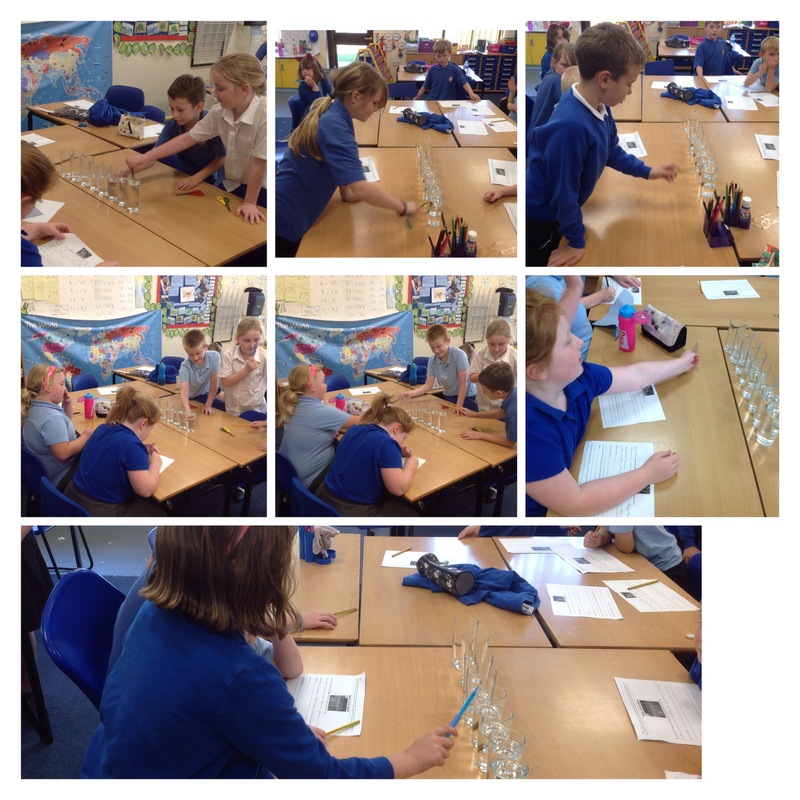 We had a lot of fun blowing into bottles with different levels of water, making a xylophone from glasses also containing water and some children also made pan pipes out of straws! Next Post Year 4 pan pipes!